When is a fry truly French? The answer may have been found at the soft opening of Harley, executive chef/owner Greg Daniels’ new Laguna Beach spot. “This is my version of a French fry,” Daniels says with a laugh as he tilts his Harley-branded snapback hat. The size of a Jenga block, the exquisitely fried morsel offers a chive aioli dip—and an optional exclamation point of caviar. The crunchy bite channels Samin Nosrat’s theory that when heat, salt, fat and acid are combined, orchestral mouthgasms in the dark can occur. Pro tip: Order the fries to sop up any juicy bits from your plate. 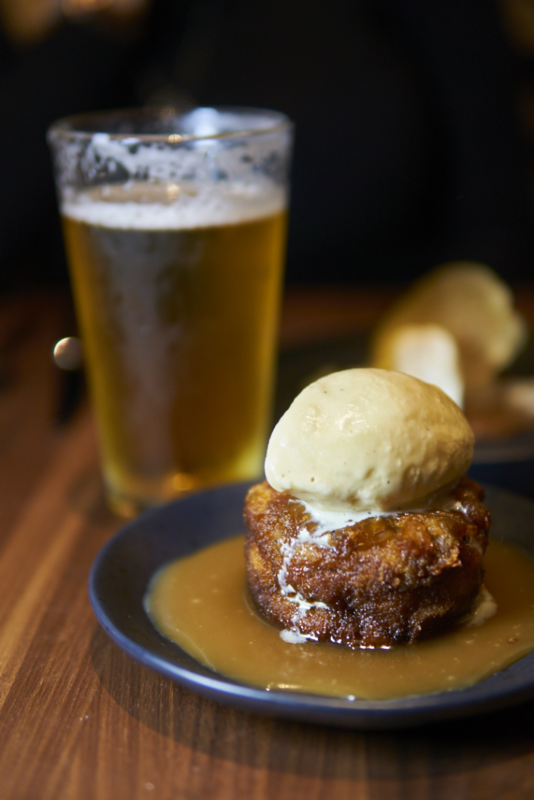 You’ve no doubt heard of Daniels if you’ve eaten at his former gastropub on Glassell Street in Orange, Haven, where billions and billions of his signature burgers have been served. This new spot, formerly 370 Common, is more of a raised-pinkie experience with a family sort of fervor. Gone are the days of duck-fat fries slathered in gravy, short rib and cheese curds, an item over which we once nearly fought to call a proper poutine. “Oh, Harley is absolutely an elevated cuisine compared to pub food,” Daniels says, swirling a glass of freshly poured pinot. This is not only a new chapter, but also a completely new book. The menu reads like a hyper-seasonal view of what’s fresh and eye-catching at the farmers’ market. 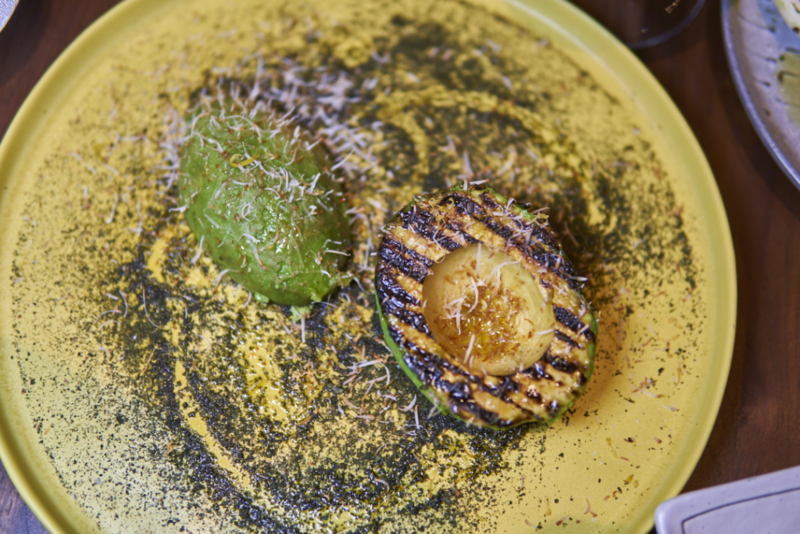 Grilled avocados are seared yet creamy, served on a plate dusted with herbs and aromatic olive oil. 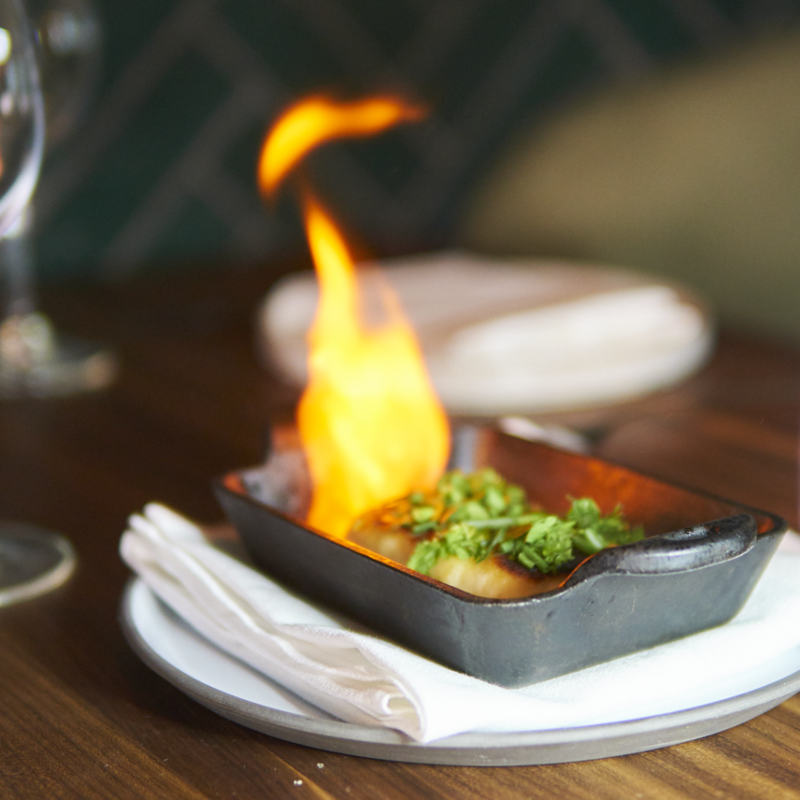 Head-turners such as the fried halloumi cheese are delivered in a cast-iron skillet, ablaze with fragrant Blinking Owl aquavit. 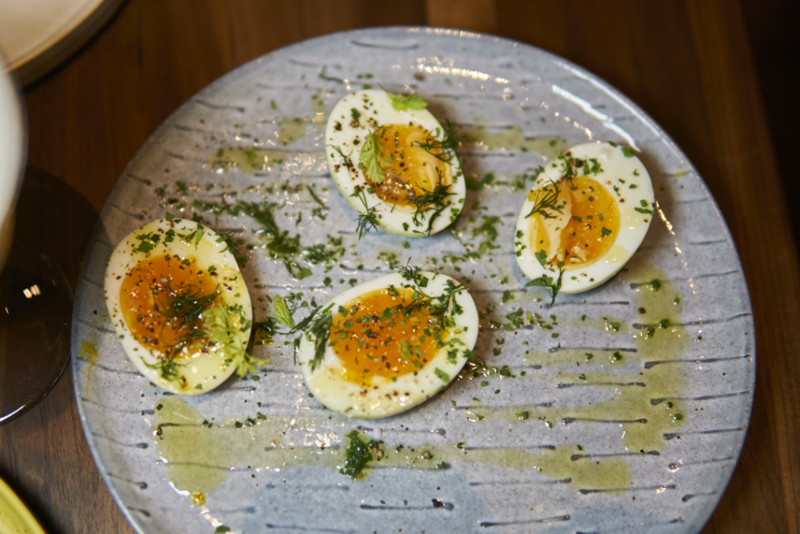 If you want to relive the pub grub from yore, grab a set of 7.5-minute jammy eggs to deliver that gooey yolky-pokey vibe. Mains are served sliced for easy table sharing. 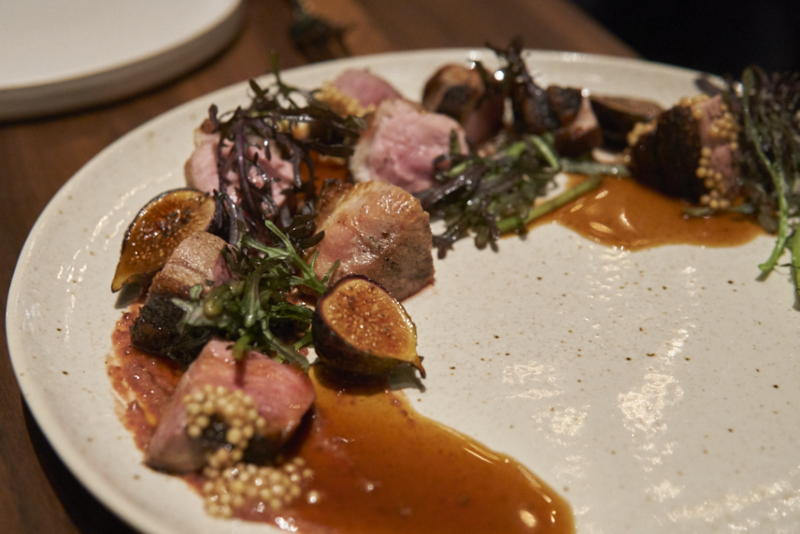 Several of the meat dishes, including the duck breast, are finished on a wood grill, which delivers a satisfyingly smoky taste. The beverage side of things is perhaps the biggest change from the chef’s repertoire. Since I’ve known him, we’ve always agreed on his beer choices, and filling Harley’s taps are OCWeekly’s Best Of winners Green Cheek IPA and Gunwhale Ales Saison. But here, “it’s all about wine, wine, wine and more wine,” Daniels says. General manager/partner Andrew Merritt puts his sommelier skills to good use matching dishes for the wine-curious. Behind the bar, I found a slushie machine churning a frozen riff on the Last Word cocktail: mezcal, Chartreuse, maraschino and lime combine into a crushable version of the classic. Aside from a textbook Boulevardier, each cocktail has a small twist, such as the English Lady, which is a black-tea-syrup twist on the classic white version. Harley, 370 Glenneyre St., Laguna Beach, (949) 715-1530. Reservations highly suggested via opentable.com.